Some more great freebies, including stories by Cat Rambo and Dennis Etchison. For more free fiction be sure to check out Regan Wolfrom's free fiction listing at SF Signal, including his free for a time e-book After The Fires Went Out: Coyote. • "Rappaccini’s Crow" by Cat Rambo. "Doctor Rappaccini has a pet crow named Jonah. He says he raised it from a chick, but I have trouble imagining Doctor Rappaccini patiently nursing anything, tucking a blanket around it to keep it warm or feeding it mealworms and apple shards. If he has such a faculty for tenderness, he doesn’t exhibit it towards any of the patients here." • "Crossroads and Gateways" by Helen Marshall. "Dajan faced east, as he did every morning, greeting the Sun with a toothy smile that split the creases of his face. His spear was planted in the sand beside him, gripped by a fist hard and calloused. The wind tugged at the bright red cloth that hung from it. The sand dunes seemed smooth as elephant bones in the morning, limned in a brilliant gold. Brown and gold—the colors of the desert. Dajan’s colors." • Now Posted: The Jul - Sept '14 Issue of The Lorelei Signal. Fantasy. • At Nightmare Magazine: "Talking in the Dark" by Dennis Etchison. Horror. "In the damp bedroom Victor Ripon sat hunched over his desk, making last-minute corrections on the ninth or tenth draft, he couldn’t remember which, of a letter to the one person in the world who might be able to help. Outside, puppies with the voices of children struggled against their leashes for a chance to be let in from the cold. He ignored them and bore down." 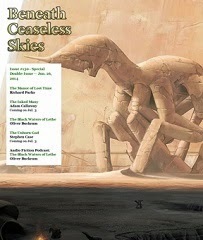 • At Beneath Ceaseless Skies: "How the Wicker Knight Would Not Move" by Chris Willrich. Fantasy. "At the Wicker Knight's feet Kverna faced the foe. "I do not hate you," she said to them. "You are as you are. Maybe Perfection has no choices. It is this thing behind me I hate. 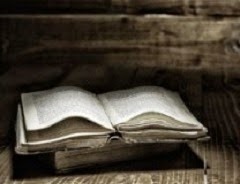 Leeching our hope, and returning nothing. At least without it we will meet our fates as human beings."" 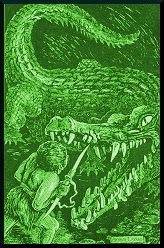 • People of the Mist by H. R. Haggard chapters 1-29. Adventure. "Nay, I know not. 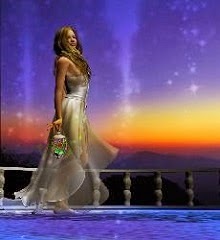 You came out of the folly of your heart, to satisfy the desire of your heart. Listen, that tale I told you is true, and yet I did not tell you all the truth. Beyond that cliff live a people of great stature, and very fierce; a people whose custom it is to offer up strangers to their gods. Enter there, and they will kill you thus." The e-book is free here and the original illustrations are online here. 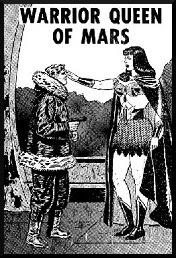 • "Warrior Queen of Mars" by Alexander Blade. Science Fiction. Parts One, Two, and Three. "Iceland was the perfect place for a secret military operation. We thought of it, but so had the Martians — ages ago . . ." First published in Fantastic Adventures, Sept. 1950. Text version here. 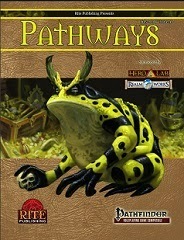 • Now Posted at DriveThruRPG: Pathways #40. "The Relunctant Bandits" by Creighton Broadhurst. that could be played for laughs as well as screams. 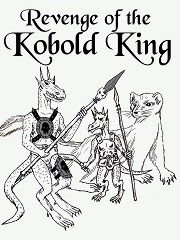 • At DriveThruRPG: Mini Quest Double Feature: Revenge of the Kobold King. "Mini Quests by Survive RPG offer compelling 2 page adventures that are great for a one-off session, convention play or for use as a side quest to your campaign. Mini-Quests is designed for any D20 fantasy system.This is a special Min-Quest double feature that includes KOBOLD CAPER and REVENGE OF THE KOBOLD KING. The characters are hired to recover missing livestock and end up in the middle of a war...with kobolds. No, this is not a comedy. Will they surive?"